I practiced Islam for a few months with two other men It was all of our 1st year and we celebrated Ramadan together. But me being me when I get involved in religion I always end up researching the darker side of it. Odinism is the only religion I did not do this for some reason I settled on Tyr and was happy with that but anyways back to Islam I found myself preoccupied with Iblis because he was supposed to be the Islamic Lucifer. 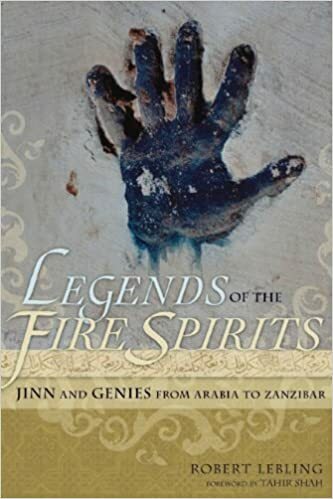 I read this wonderful book called the legend of the fire spirits jinns and genies from arabia to zanzibar and explained islamic demonology to me and was very enjoyable the ranks and different kinds of demon or Jinn as they are called in arabic. It also told a whole lot of personal stories with them and where they can be located I highly recommend this book! now i am going here. Please stay on topic. This is not the random posting type of thread. Islamic groups,and the different directions. Have you ever talked to a demon?